She's the little genius who has scored top-of-the-class grades in both Maths GCSE and A-Level - at the age of just TEN. 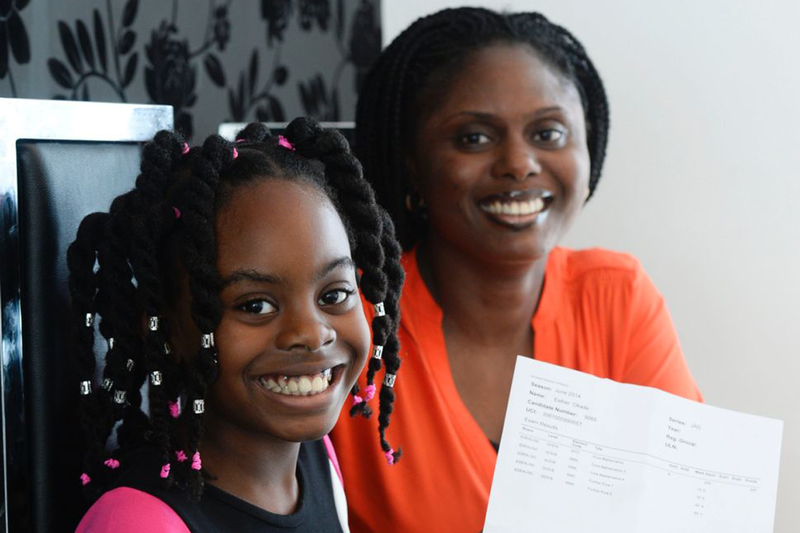 And now Esther Okade, from Walsall, is setting her sights on a degree after achieving the astonishing exam double. 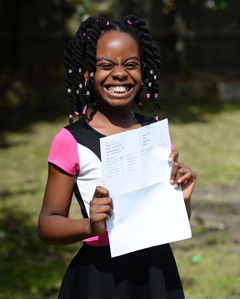 Incredibly, the youngster first passed Maths GCSE with a C-grade at just six-years-old, scoring an A-grade a year later. Last week the maths-whizz scooped an incredible B-grade at A-Level in Pure Maths - eight years ahead of her peers. Delighted dad Paul said his daughter has now set her sights on a degree, which she will complete online. "I cannot tell you how happy and proud I am as a father," said 42-year-old Paul. "The desire of every parent is to see their children exceed them, and take the family name to great heights, and my children have done just that." 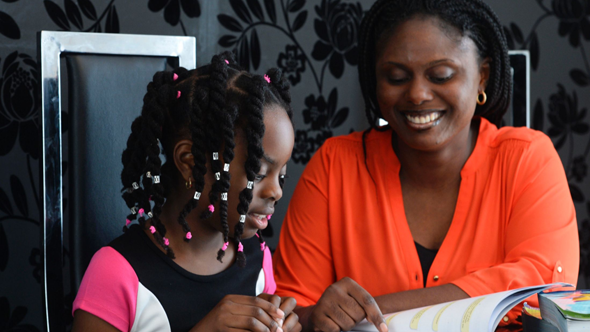 Esther, who is home-schooled by her mother Efe, sat the exams at Ounsdale School in Wolverhampton. 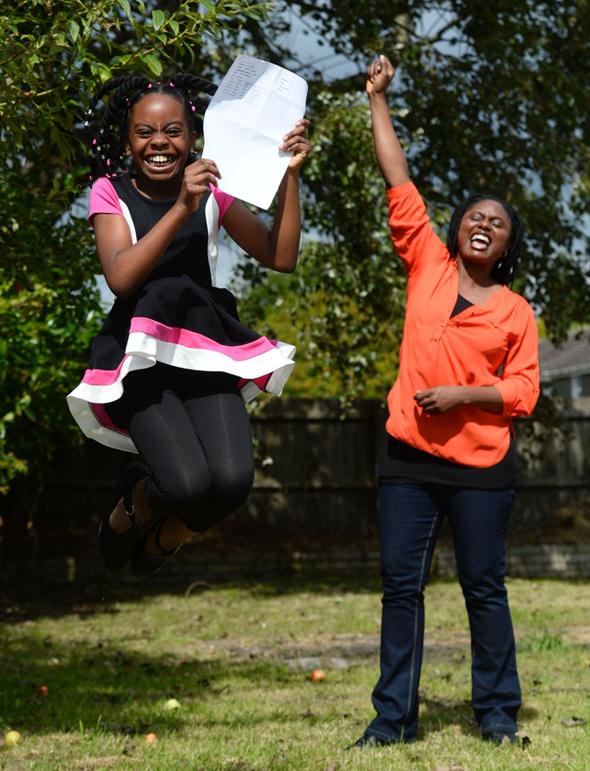 Engineering graduate Efe explained that finding a school to let her daughter sit the secondary school exams was a big challenge. "I rang up a few schools in the area to see if she could sit the exam, but people would just laugh and put down the phone," said the 36-year-old mum-of-two. "I think they thought I was joking. "But Ounsdale School agreed. They were the only ones mad enough to take her. The day she went for the exam everyone was staring and looking at this little girl!" Esther, who dreams of one day opening her own bank, sat her first GCSE exams at the school in 2010 but was kept in a private room as to not distract the other students. "Esther is a very fast learner" said Efe. "By the time she was four I had taught her the alphabet, her numbers, and how to add, subtract, multiply and division. I saw that she loved patterns so developed a way of using that to teach her new things. "I thought I would try her with algebra, and she loved it more than anything. "But she is a normal little girl - she loves Barbie and princesses and making loom bands." Now little brother Isaiah is set to follow in his big sister’s footsteps by taking his GCSE Maths exam next year - aged six. "Every child is a genius," said Efe. "It is all just finding out the best way for each child to learn."